Ever since my conversion into the Apple race, I tend to shake my head at other notebook manufacturers and think their hardware isn’t as nice or pretty or whatever. I obviously come to my senses shortly after and take another look at it from an objective standpoint. More often than not I see the error of my ways, but sometimes crap is just crap and there’s no getting around that. I can honestly say that when I saw Lenovo’s trio of notebooks a couple weeks back, I was impressed. I actually drooled a little bit. No joke. 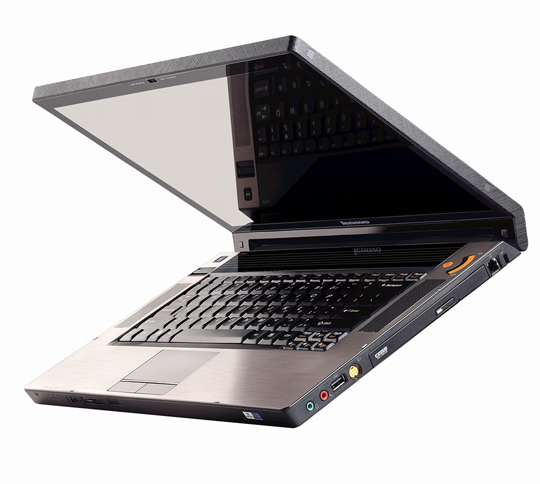 The IdeaPad Y710, Y510 and U110 cover the basics and then some for every tier out there. Halo lighting, facial recognition and frameless screens just to name some of the features. Want to know more? 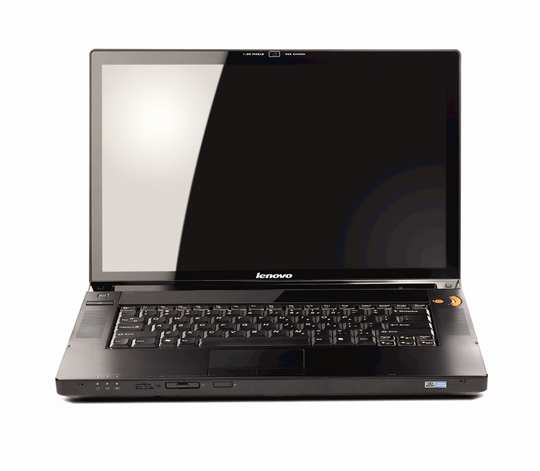 The Y710 is the big boy of the bunch and encompasses everything you’d want from a media notebook. With a 17-inch widescreen and sleek, metallic blue finish it’ll surely garner some attention. It’s powered by a 2.5GHz Intel C2D processor, ATI Mobility Radeon HD2600, up to 500GB SATA drive with a hot swappable secondary drive, up to 4GB of RAM, a 1.3-megapixel camera, five speakers including a sub ala Dolby Home Theater as well as an optional Blu-ray drive that should pique your interest. Other notables include four USB ports, HDMI, 6-in-1 card reader (SD/SD Pro, MS/MS Pro, MMC, XD), Express card slot, VGA and S-video. Gamers will want to pay particular attention to this one as it’s equipped with Game Zone functionality and dedicated touch controls. A secondary display shows all pertinent info like CPU speed and you can overclock when you feel the need. It weighs in at about 7.9 pounds with the battery that lasts about four hours. The Y710 starts out at $1,199. 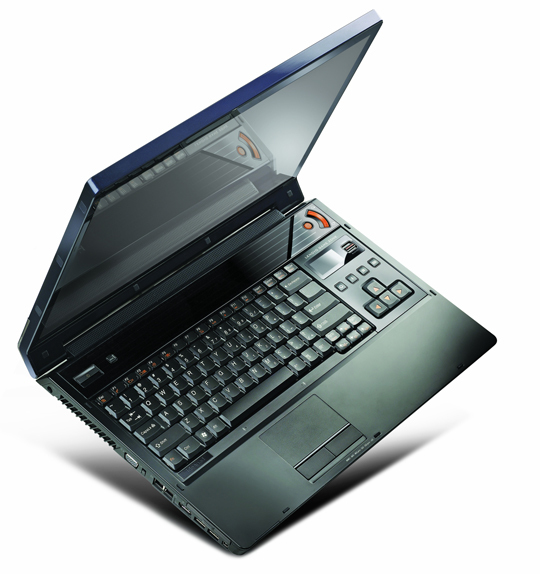 The Y510 is juiced with a 1.83GHz C2D with up to 3GB of RAM. 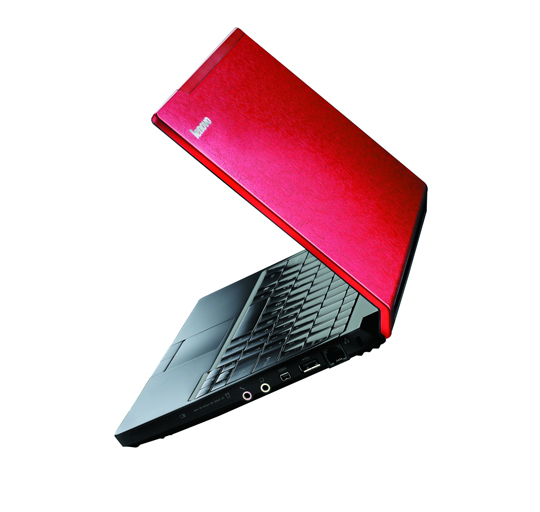 The 15.4-inch wonder takes up to 250GB from the factory and an Intel Graphics Media Accelerator X3100 graphics card. It’s a mere 6.4 pounds with battery with the same battery life as the Y710. You won’t be getting a Blu-ray drive, but a dual layer CD/DVD burner should be sufficient enough. It also has the five speaker setup and 1.3-megapixel camera. Most other expansion slots are the same minus one USB port. The Y510 starts out at $799. Bringing up the rear is the one I’m drooling over. 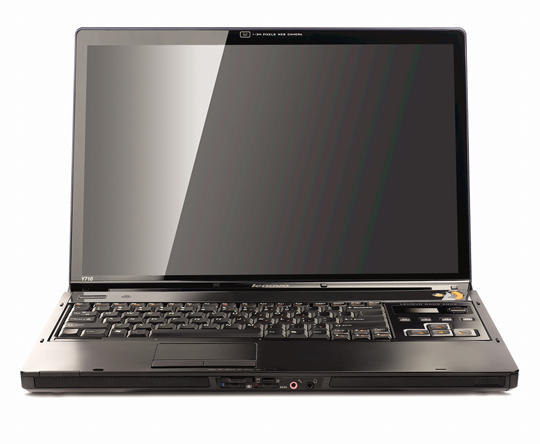 The U110 is an ultraportable 11-inch widescreen notebook that weighs in at 2.3 pounds. It’s only 0.7-inches deep. With a flashy red aluminum hood would you want anything else? Santa Rosa and SSD. That’s not too shabby.